North Shore Physicians Group’s team of expert obstetricians and gynecologists provide high-quality compassionate care to woman of all ages, including annual check-ups, pre-and postnatal care, and advanced gynecologic surgery. 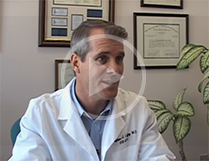 Many of our physicians are specially trained in performing minimally invasive procedures. Our board-certified physicians provide complete prenatal and postnatal care. Our patient-centered approach means that they are available around the clock to answer questions and provide patients with support. Our OB physicians deliver babies at the North Shore Medical Center Birthplace in Salem. Take a tour of The Birthplace! The Birthplace at NSMC is filled with compassionate, experienced staff, many of whom have been dedicated to The Birthplace for decades. The care team is experienced with variety of natural birthing techniques to help women through their delivery. Many women choose an NSPG nurse midwife for their prenatal care, to prepare them for childbirth. Midwives work closely with you to create a birth plan that fits your needs. Our practice includes two dedicated laborists, Cheryl Thompson-Cragwell, MD, and Beverly Savage, MD. They are based at the NSMC Birthplace and care for inpatient pregnant women and deliver babies. Our gynecologists specialize in diagnostic and surgical procedures. They also provide well woman care (annual check-ups and screenings and preventative care). Several NSPG gynecologists and obstetric-gynecologists also specialize in minimally invasive gynecologic surgery. To help you and your family plan and prepare for childbirth and the care of your baby, the staff at the North Shore Medical Center (NSMC) Birthplace has designed several educational programs. All classes are taught by certified childbirth educators or registered nurses. Click to view classes and dates.